If we're being honest, he did start out trying to wind Gary Neville up, but with him being a bit of a character on Twitter it's easy enough to forget that he can be a decent lad too. 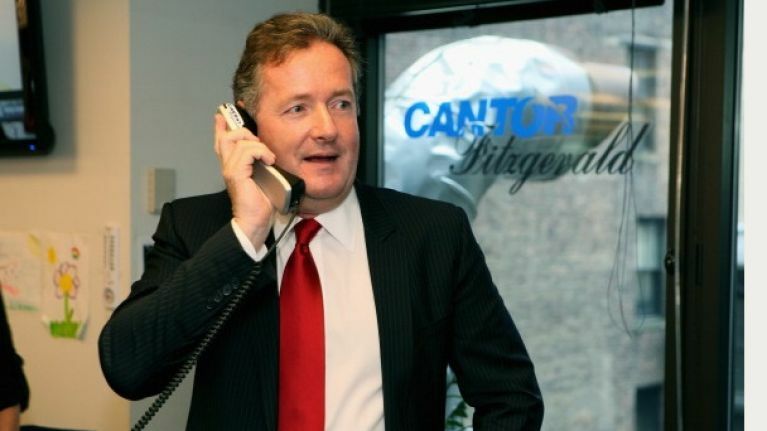 He and Gary Neville were discussing today's big game in the Premier League when Piers proposed a big bet for charity, with the proceeds going to Great Ormond Street children's hospital. Neville was on board but wanted to get another charity involved in the action too, what with the week that's in it, and went for the Royal British Legion. @piersmorgan 2.5k to @GreatOrmondSt and 2.5k to @PoppyLegion ! I don't ever bet but for a good cause I will! A great gesture from the two lads, but they had more to give when Piers added that even if it was a draw there would still be money going to both charities. If it's a draw @GNev2 - we both donate £1250 to each charity. @GreatOrmondSt @PoppyLegion . It turns out Gary Neville is so sound he can even make Piers Morgan do nice things, who'd have guessed it?